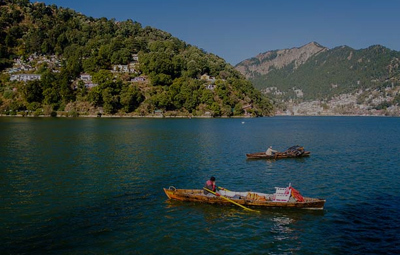 Blue skies, a scintillating lake and comparatively quieter, Bhimtal is another jewel adorning the crown of Uttarakhand. 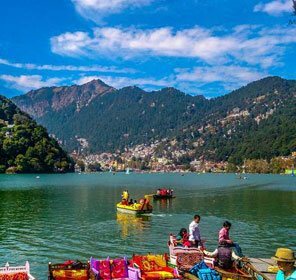 Located at the height of 1370 m above the silky sea, Bhimtal is one of the popular travel destinations in the Kumaon Region of Uttarakhand, and it is where hills with mythological importance stand tall to narrate their story. 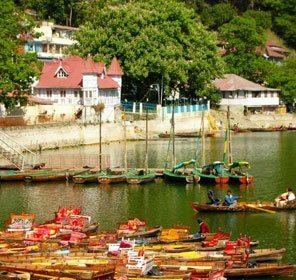 This small but extravagant town in Nainital District is named after Bhima from Mahabharata, who is said to have created the centrally located gorgeous lake which by the way is the major attraction in the town. 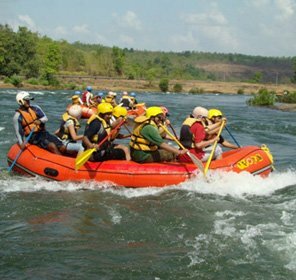 Visitors planning a tour here can relish activities like boating, kayaking, and zorbing. 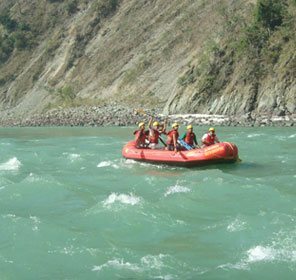 As you sit in your boat you might come across the island amidst the lake where is located another attraction of Bhimtal in the form of an aquarium. 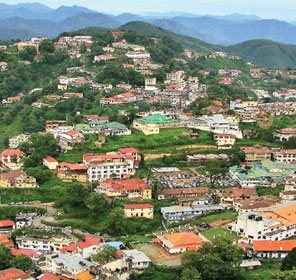 In contrast to the crowded land of Nainital, Bhimtal is still an unpopulated and pollution free town where you can find tranquility and points of tourist interest at it's best. 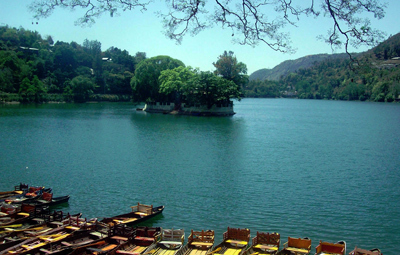 Bhimtal's important tourist place also includes Bhimeshwar Temple that is quite rich in architecture. 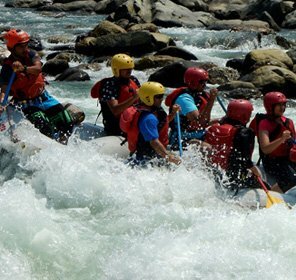 The town also caters to your adventurous and lazy sides at the same time by offering a number of things to do like camping, kayaking, paragliding, and trekking, of course, because the best view comes after the hardest climb. 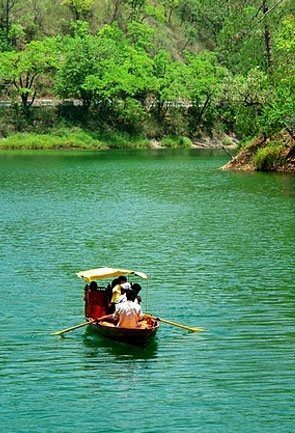 Indeed, Bhimtal is one of a kind place and is a must visit for solo travellers; people holidaying with their families; couples or the friends, as it has something for each individual to relish. 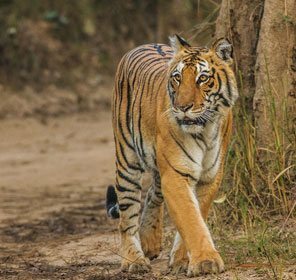 Once you decide and start planning your trip to Bhimtal, our travel guide would help you select through the various places to visit and things to do so as to make your holiday experience rare and explicit. 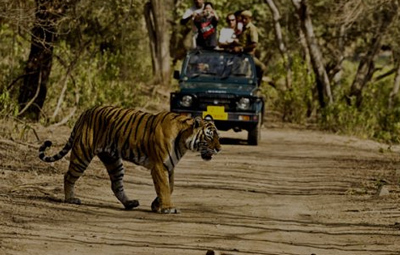 Trust us to cater to all your travel needs in our Bhimtal tour package when you book with us. 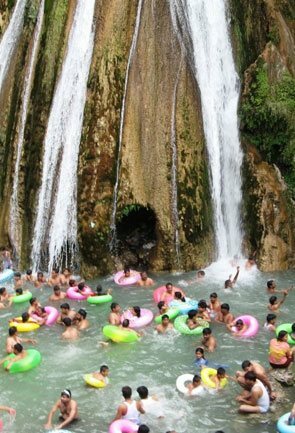 Summers and winters prove to be the best time to plan your vacation here in Bhimtal. 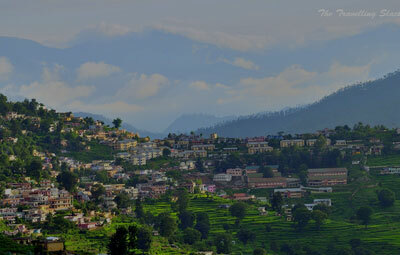 The weather in these seasons remains pleasant and soothing to relish the beautiful town to the fullest. 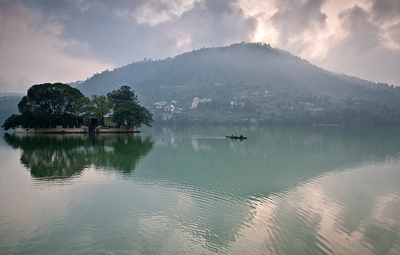 Calm your senses in the soothing rays that shine brightly here in Bhimtal. 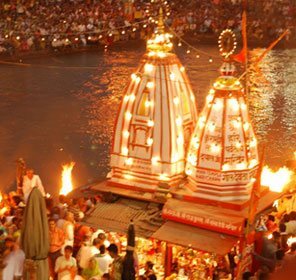 The fresh and pleasant months of March to May with a temperature of 10 to 27°C are ideal for adventure activities and temple hopping. 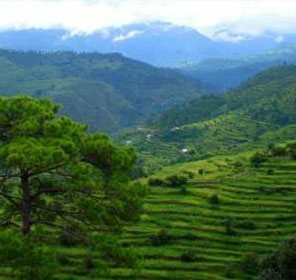 Rainfall is the ruler of the town in the monsoon season here in Uttarakhand starting from July to mid-September. 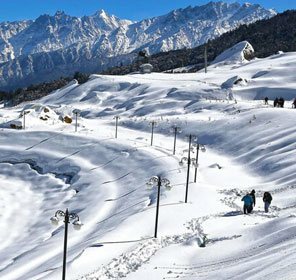 The temperature surely dips down making the land look attractive but it's advised to check the weather forecast beforehand for a memorable holiday experience. 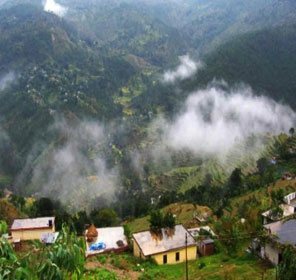 Cold days welcome you here in Bhimtal as its winter season in the months of September, October and November where the temperature drops down to -3°C. 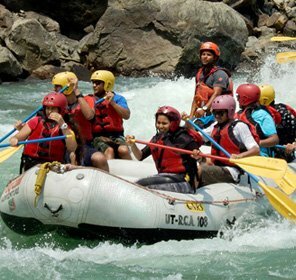 Exult in the best tourism places, as this is also the best time to spend your holidays in Bhimtal. 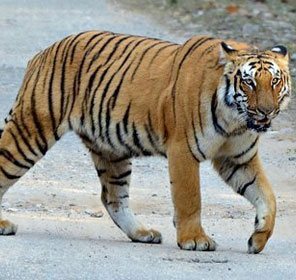 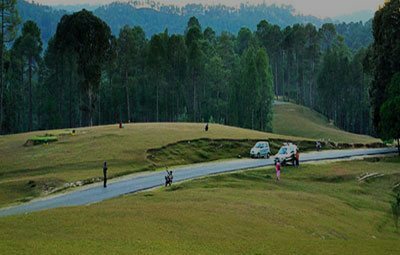 Travelling solo or with your family, Bhimtal, in any case, won't disappoint you as the town has several tourist places starting from pristine temples, lovely lakes, to adventure sports, all lined up especially for you. 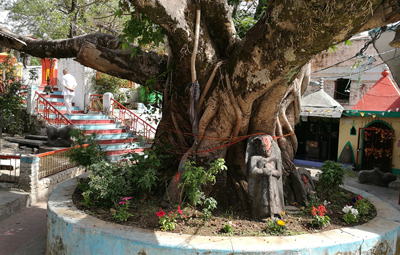 This famous temple built in the 17th Century is devoted to the divine Lord Shiva and was named after Bhima from Mahabharata. 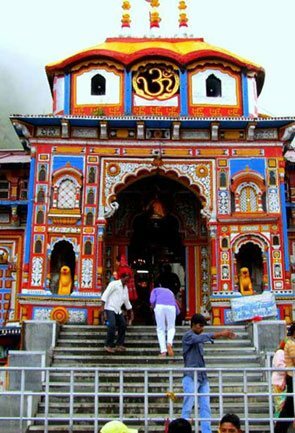 This classic shrine is praised among the locals and worshippers for its pristine architecture and is definitely a must-visit destination. 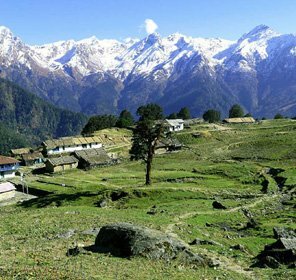 Refresh your senses with just a look of the sensational Garg Parvat, a hill in the Kumaon region of snowy Uttarakhand. 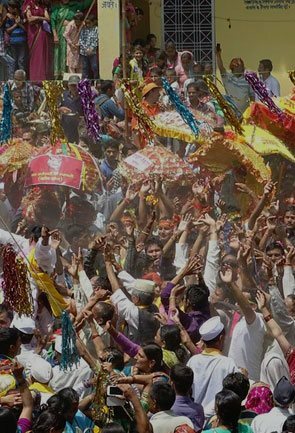 Situated near the Bhimeshwar Temple, this is the place from where the river Gargi makes its way. 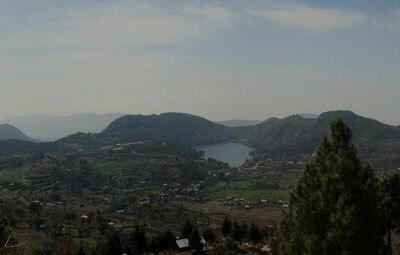 Taking place 5 km away from Bhimtal is the flourishing terrain of Hidimba. 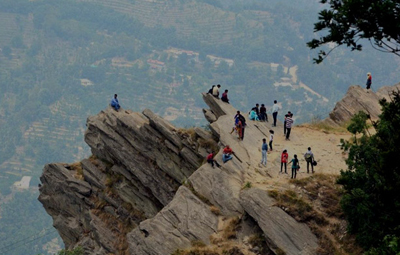 This rising hill is named after Hidimba, the wife of Bhima from Mahabharat and is known for the view it offers. 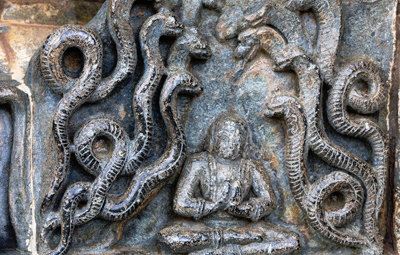 Worship the serpent god, Nag Karkotaka Maharaja here in Karkotaka temple. 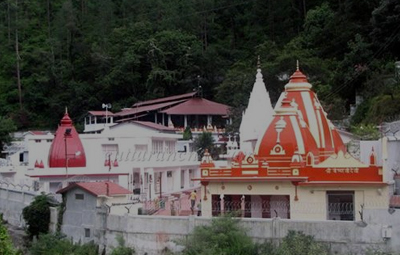 This temple is situated on a hill of the same name where followers travel in abundance to celebrate Rishi Panchami. 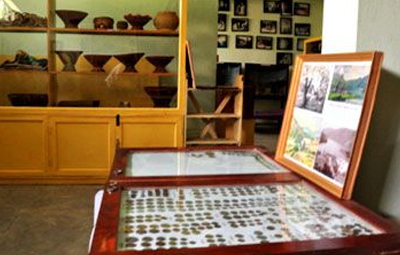 Preserving the culture, artifacts and other essential forms of art, this minimalist museum, also known as 'Lok Sanskriti Sangrahalaya' was founded by Dr. Yashodhar Mathpal. 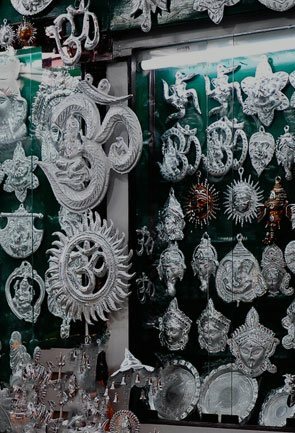 Plan a sightseeing tour of this museum and go through photos that cater to all your curiosity of knowing the unknown. 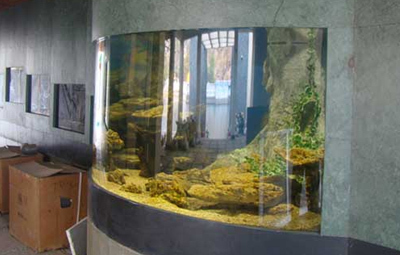 An island making its home within the Bhimtal lake is renowned for harboring various species of fishes who are kept in an aquarium. 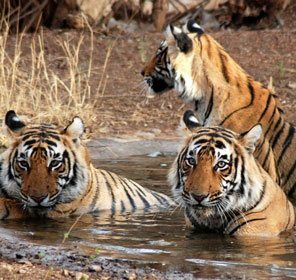 Visitors travelling to Bhimtal lake hire a boat and don't miss out on the chance of meeting and making these aqua species their friends. 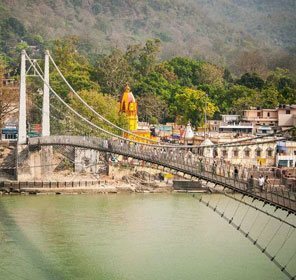 While paying a visit to Bhimeshwar temple, you would surely be attracted to Victoria dam located at the very end of Bhimtal lake. 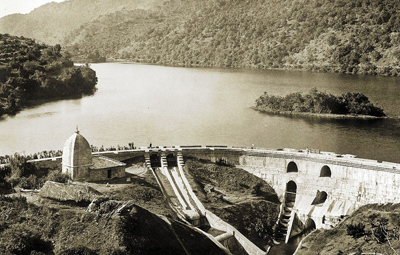 Victoria dam which is embellished with a garden on both side of the lake turns the head of the visitors around with the sound and aroma of rushing water. 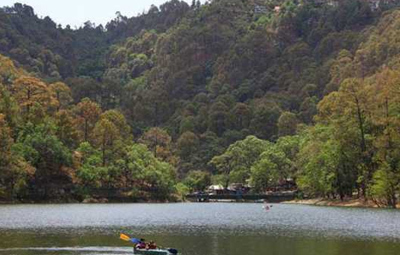 See the fishes wandering here and there, in the Bhimtal lake as you hire a boat and enjoy the scintillating backdrop of serene hills and the lush greenery around. 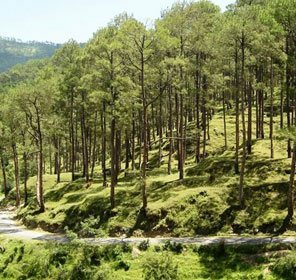 Put on your hiking boots and start exploring new ways through the pine-covered forest near the Bhimtal lake as the place offers extensive land for trekking. 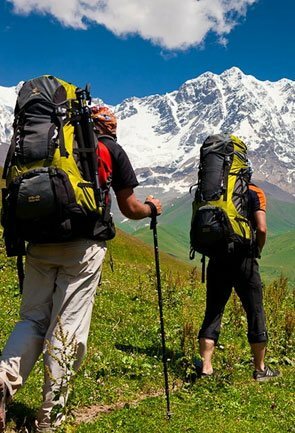 Besides as you travel a few kilometers more you can come across places suitable for camping and trekking near Bhimtal. 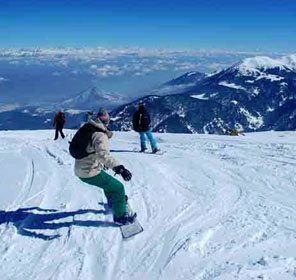 Take a little risk and enjoy the thrill this paragliding experience in Naukuchiatal pops up with! 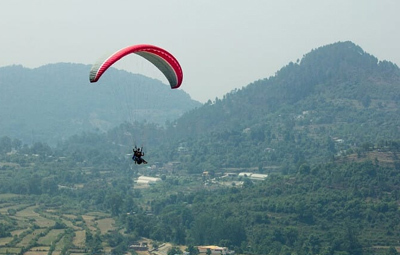 As you travel 4 km away from Bhimtal, you can enjoy this activity, where you can make your own way in the sky and soar high with your paraglider easily. 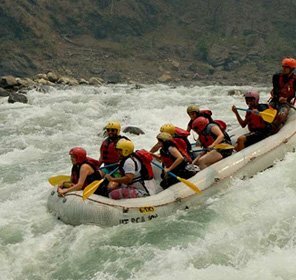 Try fun activities with your friends or family like kayaking and zorbing which can be enjoyed in the Bhimtal lake surrounded by the high hills. 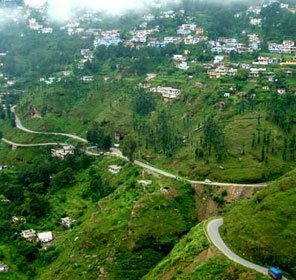 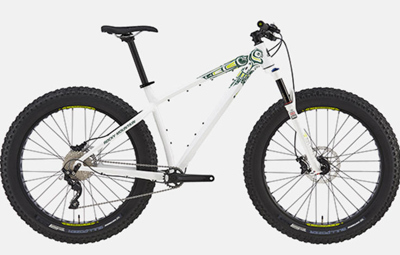 Hire your ride from Bhimtal and take the curvy area in and around the town. 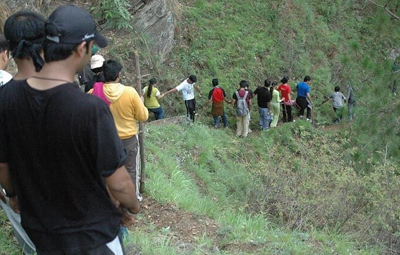 The hills and the picturesque view will accompany you as you tour the land. 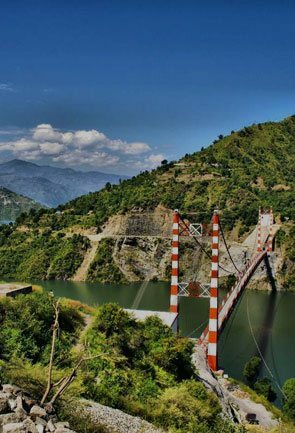 Where to Stay in Bhimtal? 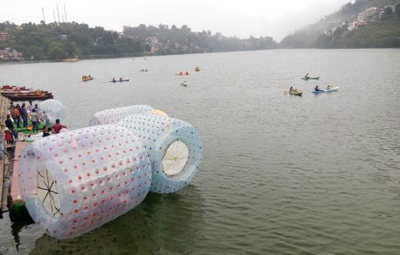 Ditch your comfort zone and spend your vacation by camping in Bhimtal. 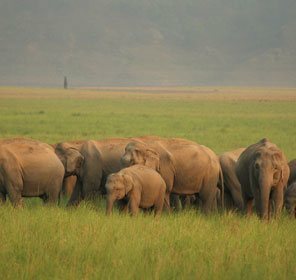 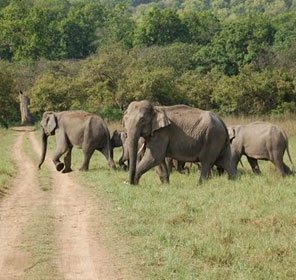 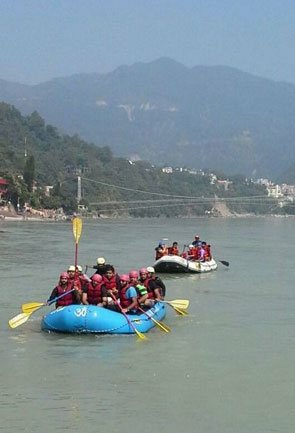 There are a number of options available at different locations near Bhimtal for camping which are affordable and worth trying once. 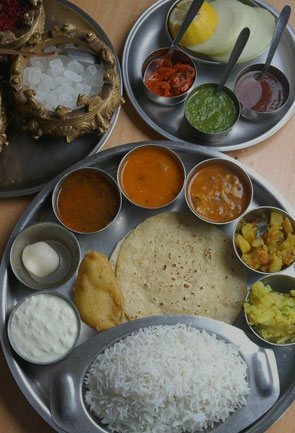 Besides one can enjoy the luxurious aura of luxury to 1-star hotels or government guest houses that are settled in the town offering a much required calm and relaxed vibe with great facilities during your stay. 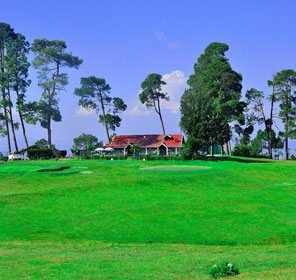 A number of resorts have also come up in Bhimtal that are best when it comes to cater honeymoon couples and families on vacation. 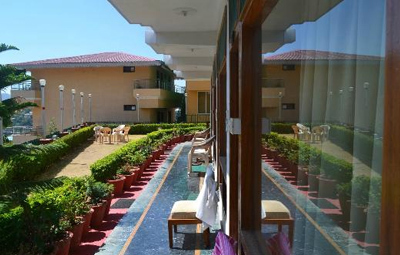 Most of them are lake facing and offer all the amenities and facilities to keep the stay of guest quite comfortable. 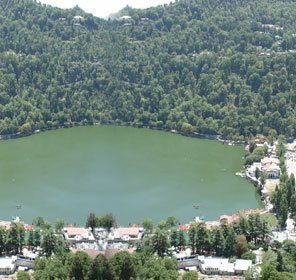 Bhimtal is a must visit when planning a vacation in Uttarakhand. 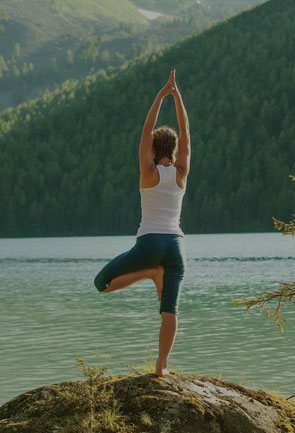 The town is well connected by air and rail which are at a short distance and furthermore by road which makes the journey hassle free. 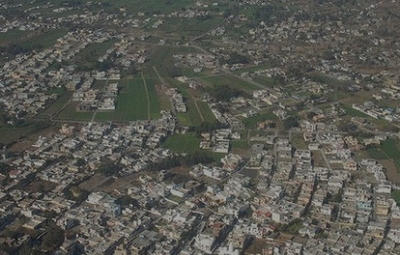 Pantnagar Airport, located at a distance of 58 km, is the nearest Airport to Bhimtal. 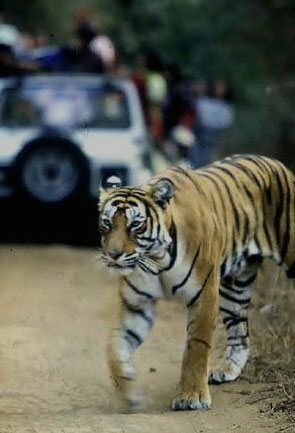 From there one can easily get a cab to Bhimtal. 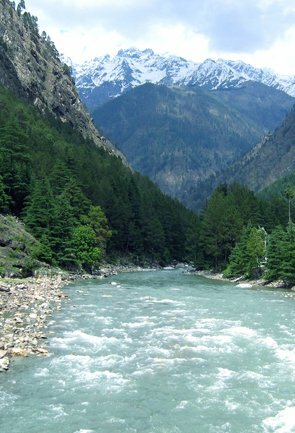 Located 30 km from Bhimtal, Kathgodam is the nearest railhead to Bhimtal which is well connected to all the parts of India. 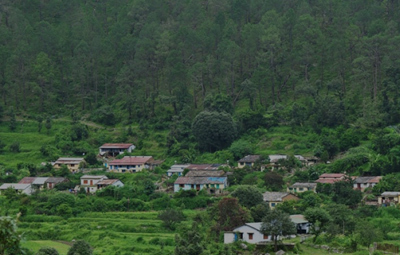 Buses and cabs for Bhimtal are easily accessible from the railway station. 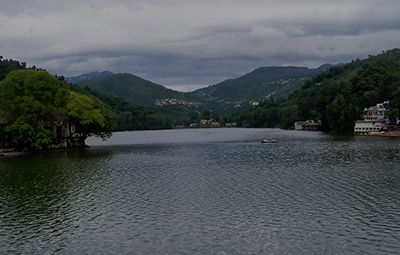 Bhimtal is well connected to all the major towns and cities of Uttarakhand. 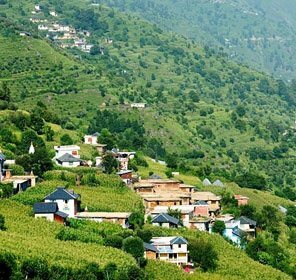 To reach here one can get on a bus travelling to Kathgodam and Nainital from where taxis are easily available to Bhimtal.